It’s no secret that many Americans take pride in their lawns’ appearance. After all, the lawn is often the first thing people notice when they look at your property—and that’s why so many people take time to ensure it remains healthy and attractive. McAfee Mowing and Landscaping, Inc can help you do just that with professional residential landscaping in Kentucky, including installation, maintenance, and design. Keeping up with your lawn’s many needs can be challenging—especially when you’re already juggling a busy home and work life. Why not leave the lawn chores to contractors with nearly 20 years of experience? With our team on your side, it’s easy to take your mind of your grass and focus on the things that matter most. You can enjoy peace of mind knowing we’ll care for your lawn’s every need. You don’t have to be extremely busy or affluent to benefit from a landscape contractor’s assistance. In fact, many of our clients are people who simply don’t have the energy or ability to tend to their lawns. There’s no shame in enlisting a professional’s help. We encourage you to take advantage of our services—we’re eager to listen to your requests and deliver the dream lawn you’ve always wanted. When it comes to landscaping, everyone has a different approach. It’s one of the reasons so many locals rely on our contractors for the unique residential landscaping services they need to keep their lawns tailored to their expectations. Because we’re a veteran landscape company, we’ve had time to fine-tune our approach to residential projects, as well as collect the equipment and skills those projects demand. Sit down with a landscaper from our team to discuss your ideas and learn how we can help you realize them. We offer a variety of services specifically for homeowners, and we’re particularly committed to caring for your lawn the way you want. Whether we’re installing a new feature or taking care of an existing landscape, we guarantee you’ll be pleased with our dedication to your satisfaction. 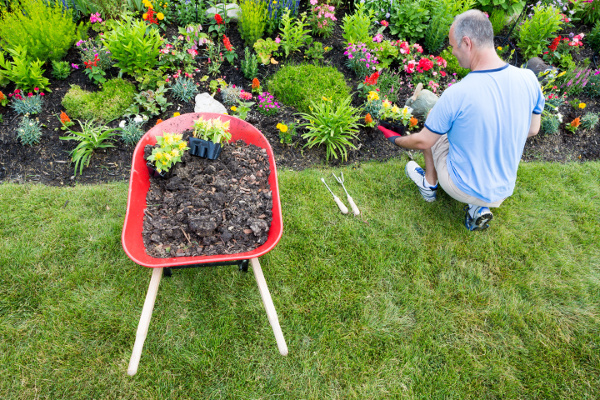 Contact us today to schedule residential landscaping services at your residence. We proudly serve clients throughout Central Kentucky.